This mom's viral Facebook post about being a parent in 2016 will make you say, "same"
Parenting is hard enough without feeling like everything we do is merely to keep up with what we think we’re supposed to do. Between watching out for banned chemicals in foods to vaccination concerns, it seems the list of worries is never-ending. Lucky for us, author of Toddlers Are A**hole: It’s Not Your Fault, Bunmi Laditan, agrees and we’re so glad we aren’t alone. In a Facebook post, published last Sunday, Laditan begins by saying “being a modern parent is terrible.” It’s a great (and honestly truthful) statement because in this day and age, there’s just SO MUCH we’re made to think about (both good and bad) that can feel overwhelming. Raising children now is considerably different from previous generations so it’s easy to think we’re failing at everything (all the time). She writes, "Do you know what vitamins I had growing up? NONE. DAYLIGHT WAS MY VITAMIN. Occasionally, once a year tops, my mom would get us those chalky Flinstones vitamins that looked liked kidney stones but we'd only have to eat them for a few days before she lost interest in our health." While Laditan writes often about her parenting journey, this post went viral (68,000 likes, 71,000 shares, and over 12,000 comments, NBD) with tons of parents chiming in with comments such as “same” and we’re right there with them! She goes in the post to talk about the way she was raised vs. the way we’re currently bringing our children up with the point that nothing is as simple as it used to be (like ordering vitamins) and that is the #truth! If only we could go back to the days we weren’t searching endlessly for vitamins online, maybe we’d see we’re all doing the best job we can without judgement. Even if you’re not a parent, this mom’s sentiments still probably resonate with you on some level. How many times have you wondered if you were healthy enough by choosing between all-natural vs. organic products? Or if you’re taking all the right supplements, and if it’s okay that you’re taking supplements that aren’t from Whole Foods? While these aren’t the most ~~serious~~ problems in the world (don’t worry, we’re not oblivious), they’re still ones that some of us have to think about — especially if we’re being judged by others in regards to our choices. 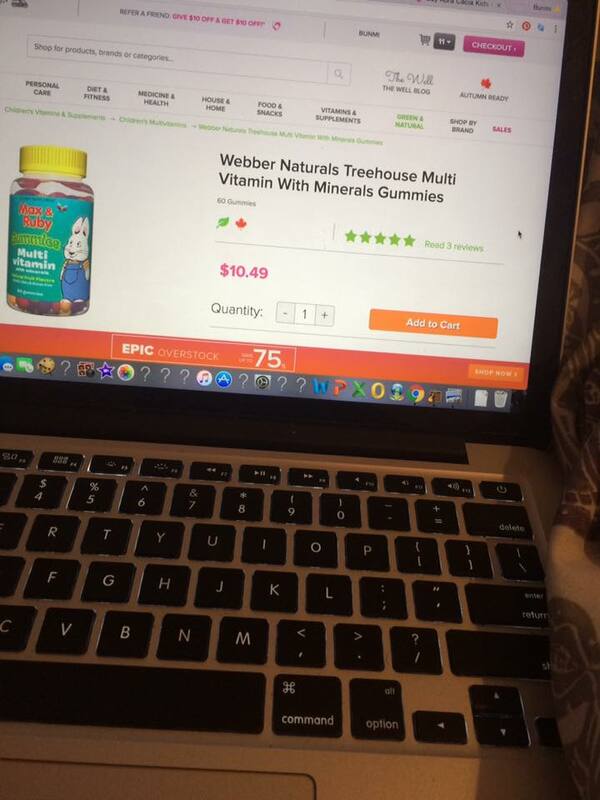 "If you need me, I'll be in front of my computer crying bitter tears and searching for phthalate-free bubble bath. I don't even know what a phthalate is." We’re crying right there with you, Bunmi! Thanks for saying all the things we feel! Hang in there!